Certainly, the biggest fear with people who become disabled is that they’ll lose their work and be forced to accept a major drop in their living standards. 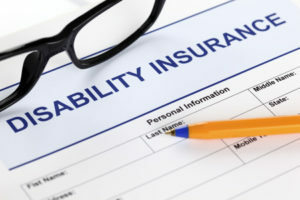 Disability insurance is also called income protection insurance. You need the cover for when you can no longer work because you can no longer bath and get dressed on your own. Each country’s census reveals that millions of people have a severe disability that prevents them from working. You can get disability insurance to cover your income, or you can also get paid out a lump sum. But How Much Disability Cover Do You Need? The cost of living – food, clothes, education, medical expenses, etc. Consider what disability cover you already get such as Workers’ Compensation and then work out what you can afford to pay for this kind of insurance. Some people want complete confidence that their lifestyle won’t change dramatically, and they opt for both types of disability cover. The question ‘how much disability cover do I need’ should rather be ‘how much disability cover can I afford’?. Living has become so expensive, that the more cover you can get the better. Many people think that a big lump sum payout will be enough, but when reality happens, they find that it’s just not enough. Insurance companies base the amount of cover you get on certain factors, one of which is your risk profile and of course the monthly premium you can afford. What will become of You if you can’t Work! But how much disability cover do you need? Insurance providers offer different interpretations about what disability cover is, but generally, they say it’s when you are no longer able to perform your usual job. If you are going to make a claim, you’ll need to provide medical proof of your disability. Many people are inclined to think that disability is about accidents and injuries at work. True, but it’s also about serious illnesses such as a heart attack or cancer which can bring on permanent disability as well. The level of cover you will need will depend on your own unique, personal circumstances. If you’re single, you’ll have different needs to the person who has a family to support. Your insurance requirements may also change over time. The cover you have now may not be enough in a few years time. South Africans are under-insured when it comes to temporary and permanent disability. Insurers say that people see disability products as unnecessary if you weren’t born with a disability. People don’t think of the possibilities with an injury and how it can put you out of work indefinitely. With serious illness cover from Standard Bank, for instance, they will pay out a tax-free amount of as much as R5 million with permanent disablement. In fact, for just R160 a month, you can get R1 million cover. Hollard offers their Disability Plus insurance for instance which includes short and long-term impairment. Disability and impairment products vary between insurers and it’s important to know the differences. If you earn an income, you should have disability cover. Your ability to earn an income is a valuable asset you may not always have. How much disability cover you need will depend on what your unique personal requirements are as well as your current financial status. Call now and get your obligation-free quote based on the unique details you provide.